Accurate WMS System Requirements Enable Better WMS Software Selection! Easily Identify All Warehouse Management Software (WMS) Requirements, including the HIDDEN ones! 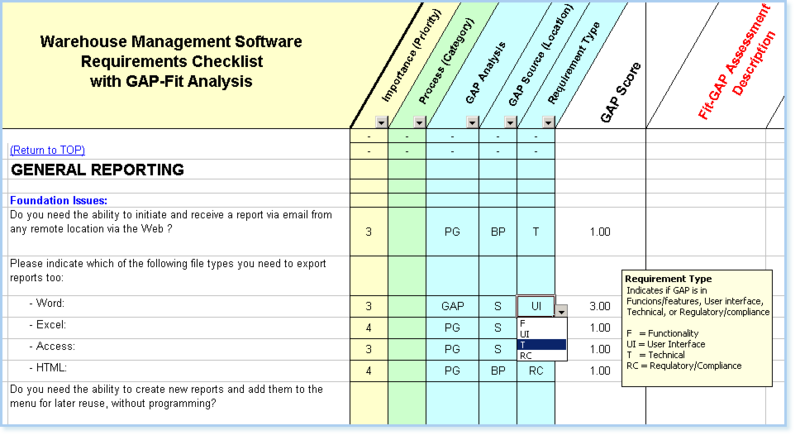 All WMS software requirements and user needs using this electronic warehouse management software requirements checklist. 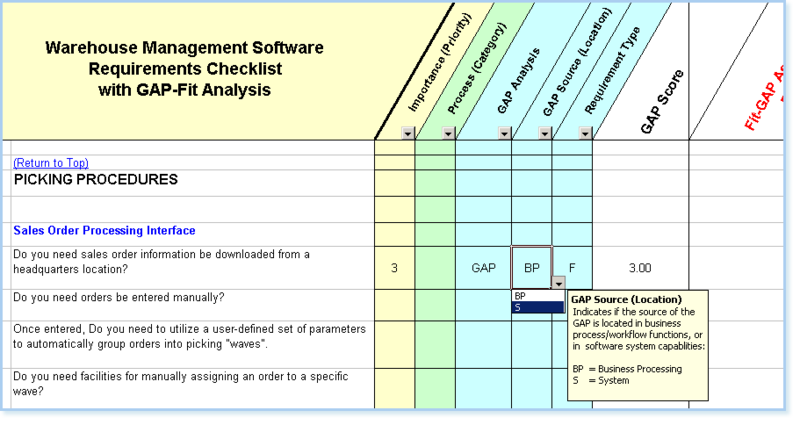 This comprehensive checklist utilizes well over 1500 WMS features and functions, combined with full GAP-Fit analysis, to ensure your organization's specific requirements are identified completely. This includes the hidden "exception case" requirements lurking in any organization's workflow and operating procedures. Some exception case examples are rules that start with "This document is always routed this way except when...", or that "This particular form field always gets processed except..". This EWMS checklist tool will help you identify those hard-to-find, critical WMS software requirements that must be addressed if a new system is to be implemented on-time and on-budget. This warehouse management software requirements checklist covers more than 1500 WMS criteria, tasks, and processes, and is certified to cover all industry standard requirementss. The main Table of Contents (TOC) shown below illustrates the broad range of requirements included in this interactive tool. The "Importance Level" column enables you to easily specify HOW IMPORTANT each requirement is to your company in a consistent and quickly sorted way. 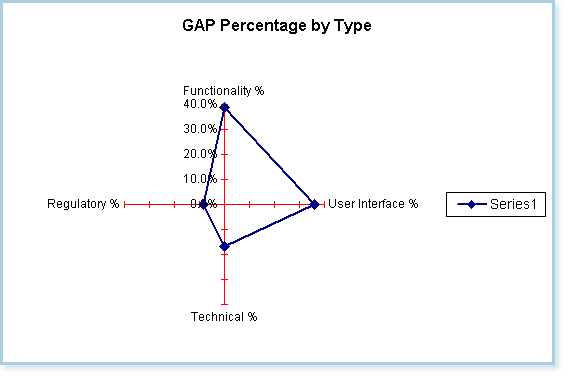 You can choose between the Importance Level options that best fit your project needs. Use 0 - 5, with 0 being not important at all. 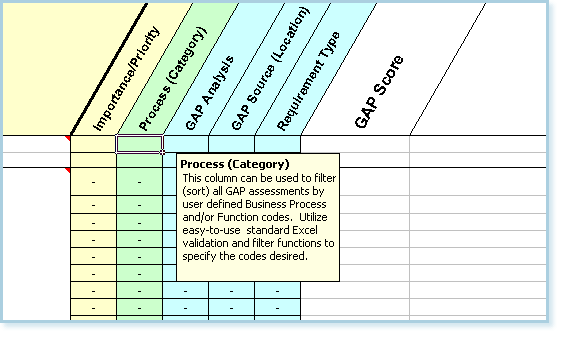 The next column to the right, titled "Process (Category)" below, enables you to enter user-defined codes that represent the business functions, processes or software modules found in the Business Unit that is the subject of the Fit-GAP Analysis. 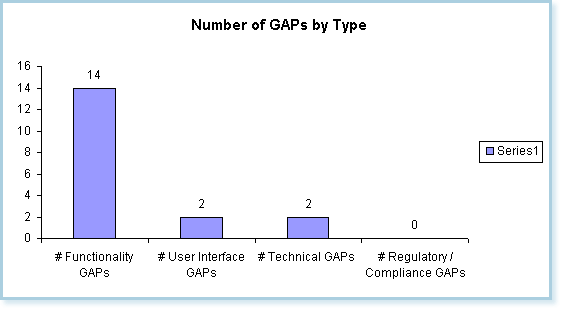 This allows all Fit-GAP assessment results to be sorted and viewed using any special criteria needed to manage a particular project. 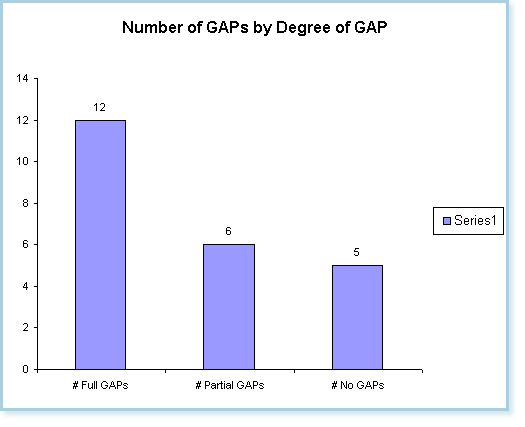 The column titled "GAP Source (Location)" below, enables you to designate just WHERE a GAP exists, i.e., is it a WMS software deficiency or a warehouse management workflow/procedural problem. This knowledge is very useful when integrating a new software system with current business processes. 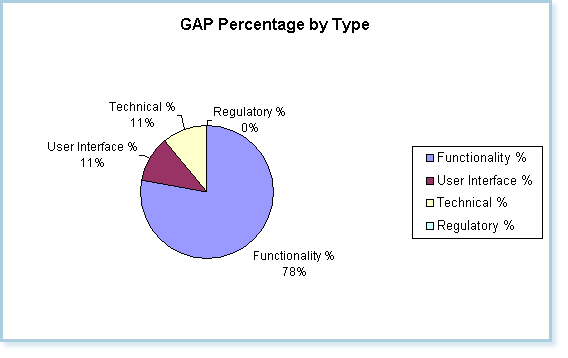 The column titled "REQUIREMENTS TYPE" below, enables you to designate the TYPE of GAP that exists between your organization's current WMS needs and and the software and/or the processes currently in use. 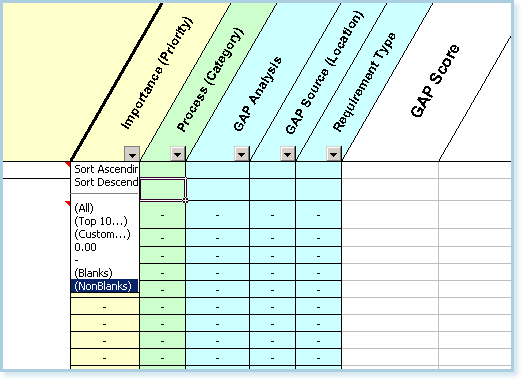 The "Process" column accepts user-defined codes to allow sorting of GAP assessments by any special project need that may come up, all on a mouse click. 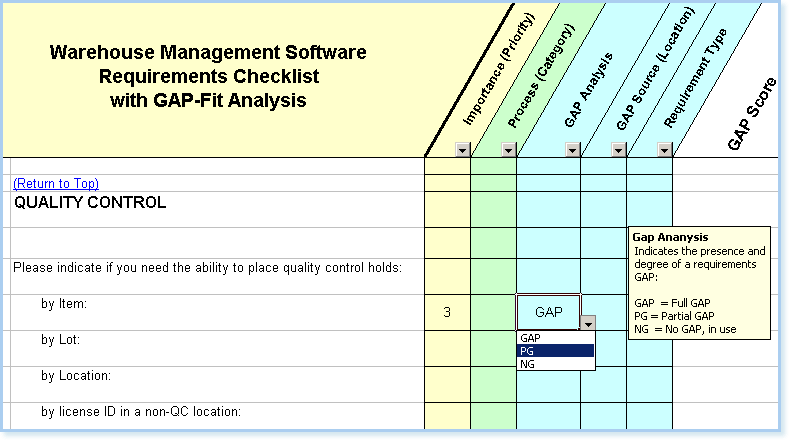 This WMS Software Requirement Checklist with Fit-GAP Analysis tool is included for FREE in the Warehouse Mangement System RFP Template and Evaluation Toolkit for more details Click Here! 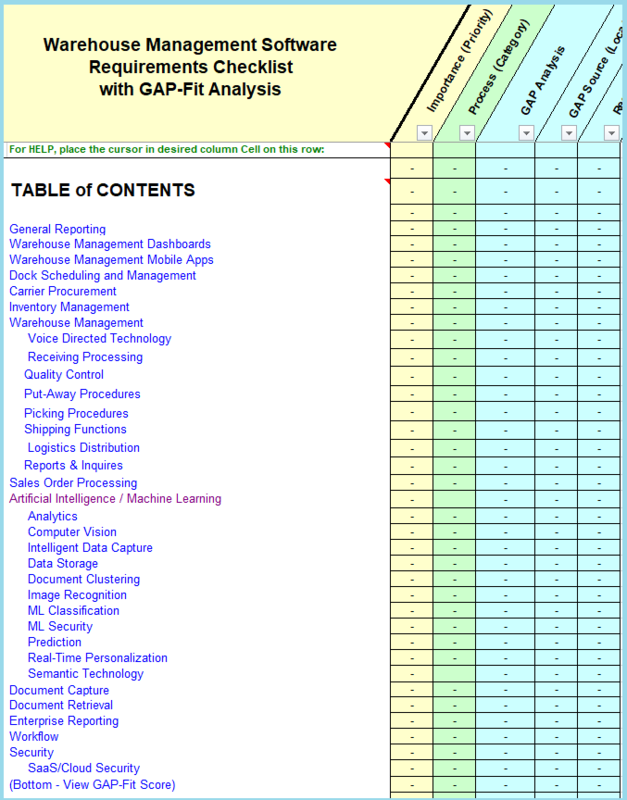 Purchase and download the full Warehouse Management Requirements Checklist with Fit-GAP Analysis by clicking the "Add to Cart" button below. 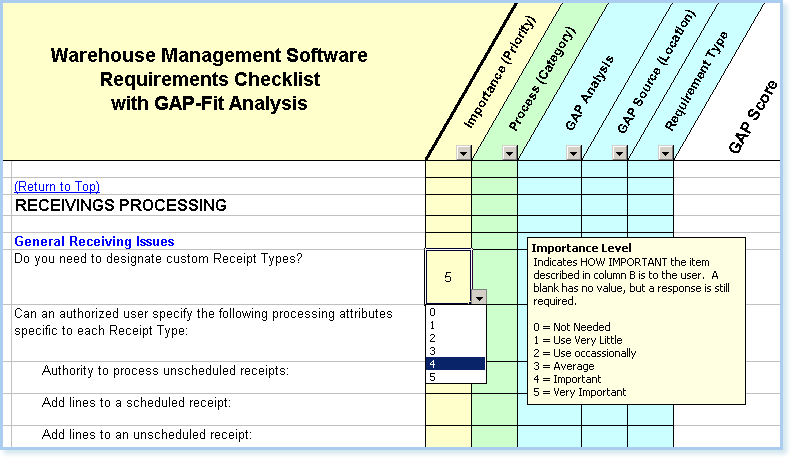 View all available RFP templates for selecting a Software System. TMS & WMS Requirements Checklist. Return to the TOP of the WMS Requirements Checklist Page. ALL the tools & features described above, i.e., everything needed to accurately identify WMS user needs, quickly determine WMS system requirements, prepare and distribute an RFP, compare & evaluate vendor RFP responses (proposals), and select the best WMS software system for your organization's needs, are included in or with each RFP Template! Copyright © 1989 - 2018 Infotivity Technologies, Inc.